SINGAPORE (June 9): Chen Foon Kee (photo) sits hunched atop a four-inch stool, weaving rattan threads through the wooden skeleton of a chair. As a Chinese soap opera runs in the background, the 70-year-old hammers a nail in to lock the threads in place. It will take Chen more than three days to complete this chair, which he can sell for about $420. That pace is fine with Chen, as business at Chun Mee Lee Rattan Furniture is much slower than it used to be. In the 1990s, Chen and his father would sell some six shipping containers worth of rattan furniture every month. Many of the items went to cruise ships, which needed deckchairs and other outdoor furniture. These days, patrons of his Jalan Bukit Merah shop are more likely to be individuals. Many are just looking for someone to repair their old chairs. So, when a Temasek Polytechnic student came knocking on Chen’s door to persuade him to go digital to revive his business, he was very sceptical. “[Going digital] gives us exposure, so people [will] know where to find us if they want rattan furniture. But the fact is there is weak demand for rattan furniture now,” he says. He is already using WhatsApp to communicate with his clients, and adds that people can find his shop through Google Maps anyway. 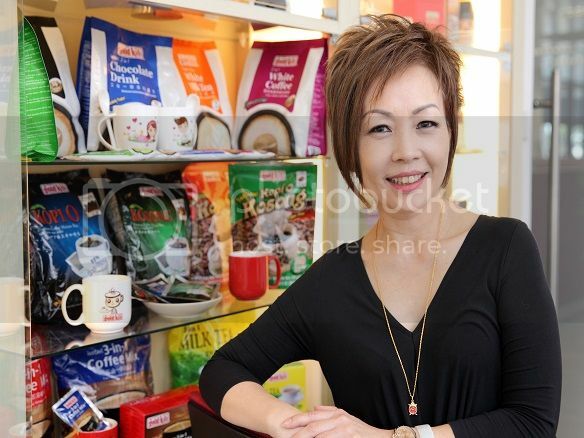 Chen is one of the targets of the 99%SME movement co-founded by Singapore Telecommunications and DBS Group Holdings to help small and medium-sized enterprises grow their in-store and online business. Singtel has partnered Ngee Ann Polytechnic and Temasek Polytechnic to help these businesses with heritage to adopt digital technology. Temasek Polytechnic, for instance, has identified 130 SMEs with more than 30 years of history in Singapore. They include vision shops, bakeries, tailors and furniture makers. More than half of these businesses are micro-SMEs, which make less than $1 million in annual revenue and have fewer than 10 staff. Students from the school are currently helping these enterprises to market their trade on the 99%SME website, a listing site featuring products of Singapore SMEs. Users will be directed to Lazada to purchase the products online. Logistics may be handled by Singapore Post. For SMEs that do not have an e-commerce arm, the 99%SME portal helps direct traffic to their physical stores. Meanwhile, Ngee Ann Polytechnic and Singtel will help family businesses get acquainted with business analytics solutions. Yet, as Chen’s story shows, not all SMEs are eager to digitise their business. There are 200,000 SMEs in Singapore; they make up 99% of the country’s businesses and generate half its GDP. About 70% of them are microSMEs, which are not tech-savvy. But many of the SMEs have a long history of making everything from mooncakes to Teochew biscuits and coffee powder. “These businesses are household names and have weathered financial hardships over the last few decades. The brands they own are testimonials of Singaporean heritage, with the endurance to withstand changes through time,” says Gary Lin, course manager of Temasek Polytechnic’s business school. The argument is that with more support, and the right technology these tiny outfits could one day become global brands such as BBQ pork maker Bee Cheng Hiang and ointment maker Tiger Balm. Both started out as family businesses and are now expanding rapidly overseas. Ravi admits, however, that adopting technology will only go so far. The more critical factor is finding a successor. A survey published in March this year by KPMG and CPA Australia shows that only 13% of family businesses make it to the third generation. Koh Sun Liang, the 70-year-old proprietor of Sze Thye Cake Shop, understands this. He makes traditional pastries from tau sar piah to peanut candy by hand, and can produce up to 1,000 pieces a day. Koh has been named a Heritage Hero by Slow Food Singapore, which, among other things, aims to safeguard gastronomic heritage and promote traditional knowledge. But he does not have anyone to pass his business on to. In fact, while he remembers students approaching him to help “his brand go online”, he is not aware that he has been signed up for the 99%SME portal. And, he is not sure how useful it will be. “Working on my own, I can make only that many pastries,” Koh says in Mandarin. He is also reluctant to use machinery as he believes it will compromise the taste of his products. Businesses with younger owners may have a different take though. Pine Garden, whose pandan cake won praise from CNN in April, has seen its monthly sales fall by 10% to 20% over the last year. The 32-yearold cake shop is mulling the possibility of selling its products through online grocers and engaging delivery services such as Deliveroo to grow its business. “This may cannibalise our physical stores’ sales, but it may help us reach a wider customer base,” says second-generation owner Wei Chan. There are larger SMEs that see opportunity online though. “Online shopping will be the future,” says Audrey Ho, general manager of Gold Kili’s subsidiary, Lion City Distribution. Gold Kili started out in 1985 as a coffee powder manufacturer. Today, it also produces other types of instant beverages and exports them to over 30 countries. The company is ramping up its online efforts and has set aside $90,000 this year to overhaul its website. It also plans to go live on Amazon Singapore and partner online platforms such as Lazada to reach younger con sumers. It is already selling its products on Chinese e-commerce platforms such as TMall.